At some point in your driving life you will probably run up against a roadblock situation that law enforcement has set up to find violators of various traffic laws. Never fun and as scary as a traffic stop but with some forethought, you should be able to handle a roadblock or checkpoint without any trouble. The National Motorists Association opposes the use of roadblocks, for any purpose, other than warning motorists of road hazards or other dangerous conditions. Nowadays, law enforcement can find funding to conduct any roadblock: drunk driving, drugged driving, distracted driving, seat belt usage, firewood inspection, and even asking for volunteers to give DNA cheek swabs and blood tests. Also, roadblocks are one of the main tools ICE agents are using to catch undocumented citizens. These roadblocks can be anywhere within 100 miles inside the border. Even though roadblocks are not always located in the same place, the National Motorists Association encourages motorists any time they encounter a road block or checkpoint to register the information on the national roadblock registry. What is the difference between a Roadblock and a Checkpoint? A roadblock is a barricade set up by law enforcement to selectively stop and question motorists while a checkpoint is typically at a border barrier or manned entrance, where travelers are subject to security checks. Similar but two different functions. Many times, though, the two are used interchangeably. Generally, yes. The U.S. Supreme Court has found roadblocks to be legal for a variety of purposes, especially ones checking for drunk drivers and even though it does not fit the definition, these roadblocks are frequently called “sobriety checkpoints.” Many states though take a dimmer view of roadblocks/checkpoints and federal decisions can sometimes be trumped by state law if the federal decision violates the state’s constitution. Some states like New Hampshire oppose sobriety checkpoints due to the strings that are attached. In February 2018, bill 1283 passed out of the New Hampshire House that would ban sobriety checkpoints. Do I have to Answer Questions at a Roadblock/Checkpoint? After showing your required paperwork, you may then ask (and keep asking), “Am I free to go?” This is very important, otherwise police will say that you voluntarily remained under their control. If police say, “No,” you are within your rights to ask for a legitimate explanation for your delay. If there is no reason given, you must be persistent in asking if you can leave—let no confusion occur regarding your intentions and the fact that you did not wish to remain within the control of the police officers. Can Law Enforcement Search my Car? You voluntarily allow a search. Police have a warrant to search your car. Police have “reasonable suspicion” based on a reasonable explanation of why they believe you have illegal items in your vehicle. They must be able to explain what they think they will find and why they think said items are in your vehicle. Remember, if police use their authority or force to search your vehicle, against your will, and they do not have a warrant or reasonable suspicion to conduct a search, they can and should be held criminally and civilly liable for conducting an illegal search whether the search reveals anything illegal or not. If Law Enforcement runs a Roadblock to conduct a Volunteer Cheek Swab or DNA test, am I compelled to do it? No, if it is a volunteer situation, decline gracefully and drive on unless you want to do it. Sometimes they give money to participants. Roadblocks are never fun and just like a traffic stop, there are actions you can take to minimize your interaction with police and leave as soon as possible. We encourage all motorists who encounter a roadblock to register the roadblock at www.roadblock.org. 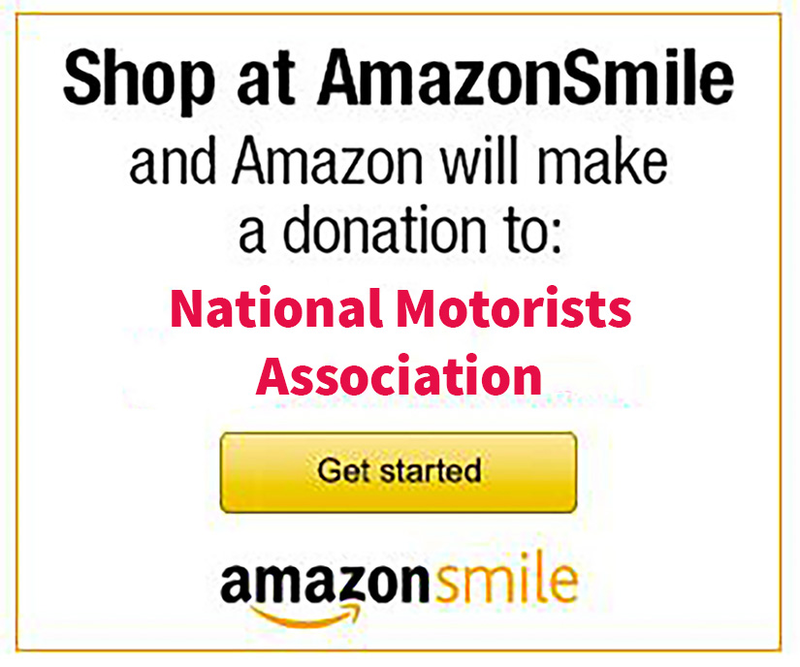 To fight against roadblocks and other egregious traffic related issues, consider joining the National Motorists Association today! Has there been a change in law? Last I heard, a vehicle can only be searched with a warrant or upon “probable cause” (the same thing as “reasonable cause”) a crime has been committed or is about to be committed. No cause is required for (most) checkpoint stops. Reasonable suspicion is required for an ordinary, vehicle stop. Absent an exception to the warrant requirement (such as plain view, plain smell, exigent circumstances, consent, etc. ), even at a checkpoint, a vehicle search requires probable cause for a search and “reasonable suspicion” for a stop (or no suspicion for a checkpoint stop). Border crossings are a different animal, and maybe the ICE ones. This is national security stuff. Also, you have rights, BUT the more you press the issue, the more you may be harassed. You need to play the game to a certain extent. I recall PA had a Game Commission checkpoint once. I do not know if they annoyed people who were obviously not hunting. CA has their agricultural checkpoints for produce diseases, too.